Pavel Temkin became winner of April Princeton Day School First Saturday Tournament (Princeton, NJ) with great result 3.5 of 4 ! Yuvik Umapathy was 1st in section 9 of April Westfield Quads (Westfield, NJ) with 2.5 of 3 ! Viktor Krapivin showed high results in Princeton Day School tournaments - 3.5 of 4 in unrated section in April and 3 of 4 in rated section in May! 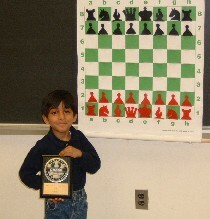 Aditya Venkatesh won 2nd place trophy in March Westfield Scholastic (Westfield, NJ) in rated K-2 section! 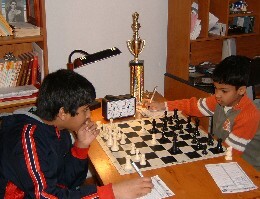 Aditya Gudapati showed good result in May PDS tournament (Princeton, NJ) - 3of 4 ! 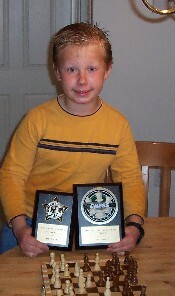 Kostyantyn Mazur won 1st place in section 5 of April Westfield Quads (Westfield, NJ) with 2.5 of 3 ! 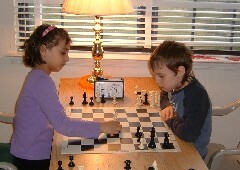 6-years-old Roma Rychkov played successfully in February Polgar Scholastic Championship (Forest Hills, NY) and in March Chess Wizards Scholastic (Springfield, NJ). These results allowed him to come very close to USCF rating 1000 ! 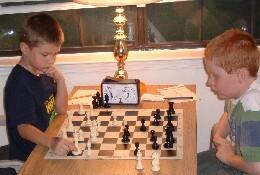 Adam Shannon shared 3rd place among 26 players in March PDS Tournament (Princeton, NJ) - 3 of 4 ! 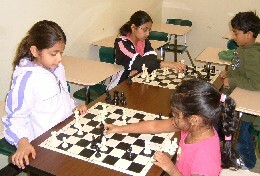 Twin sisters Avni and Nidhi Mahagaokar successfully played in Westfield Scholastic tournament in 3-5 graders section. Nidhi won 2nd place and Avni received 3rd place medal! 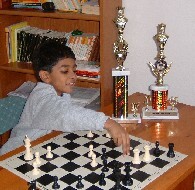 Vishan Ramanathan shared 1-2 places in New York State Open Championship among 1-st graders (New Rochelle, NY) with outstanding result - 6 victories in 6 games! 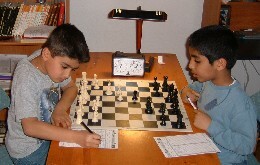 Vaed Khurjakar shared 4th place among 52 participants in March Orchard Scholastics (Ridgewood, NJ) - 3 of 4 ! Only a month ago Samritha Palakollu became 5. 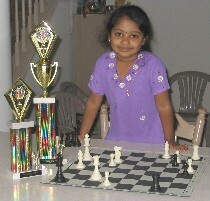 But she started to learn chess last August and already won trophies in 2 rated tournaments: Samritha shared 2nd place in April Holy Family Academia Shkola Tournament (Bound Brook, NJ) and recenlty won 2 more trophies as a Top Kindergardener and for the 2nd place in K-1 section in Saunders Technical High School Scholastics (Yonkers, NY) - 3of 4 in each tournament! 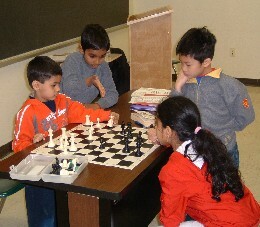 Arjun Rajkumar is also 5, and he started chess classes in September. In April Princeton Day School Tournament (Princeton, NJ) Arjun took 2nd place in unrated section with great result - 3.5 of 4 !